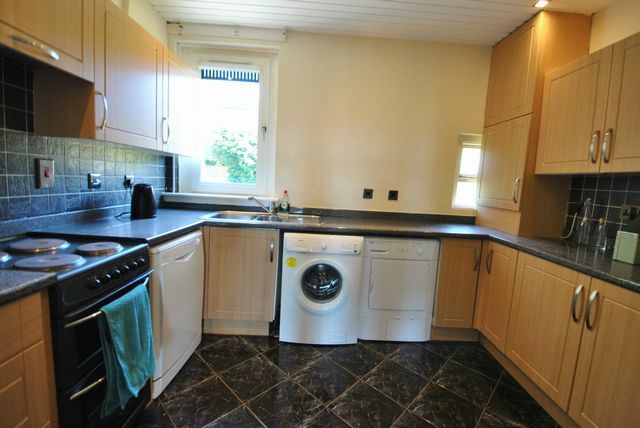 Upper cottage flat located in the Ruchill area to the West of Glasgow. The property is an upper cottage style flat entered upstairs, with entrance hallway, generous storage, 2 double bedrooms, bathroom with shower over bath and spacious bright living room with great views. The kitchen is off the living room but is a good size with all appliances provided. There is a private section of garden to the rear. GCH. Double glazing. Street parking. Well placed for local amentities, with local shops and large Tesco supermarket within easy walk. Bus routes close by.